This past weekend, Irwin Terry and Bill Campbell attended OzCon 2015 in San Diego, California. 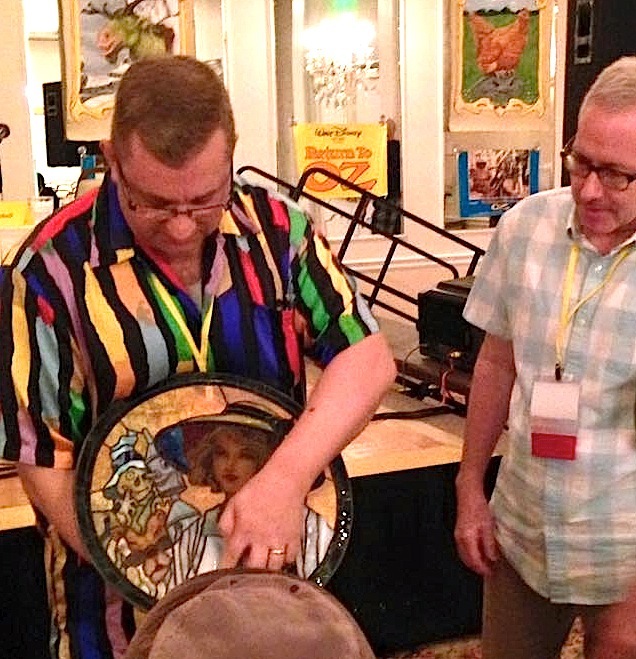 This annual convention celebrates all things Oz, from the original book series, to the 1939 MGM movie, stage productions and, well…everything Oz! 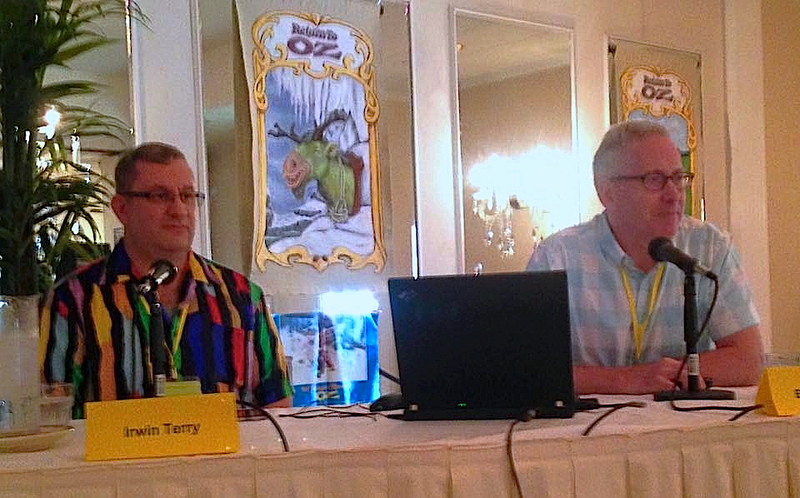 On Friday morning at the convention, we gave an hour long presentation on the Oz themed stained glass panels we have been creating at our studio for the past 30 years. The presentation was illustrated with projections of our work which included pieces we created for Books of Wonder in the 1980’s & 90’s to the larger windows we have been making in recent years. 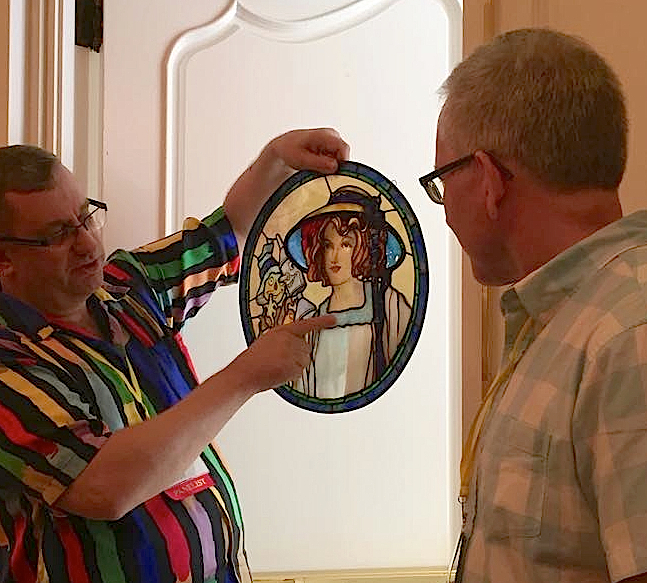 We created a special stained glass piece for the presentation which was inspired by the cover of The Road To Oz. 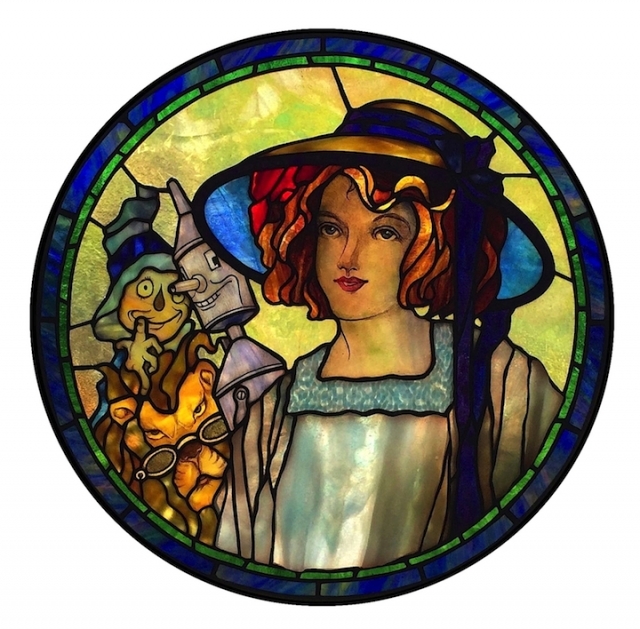 The image shows Dorothy, the Scarecrow, Tin Woodman, and Cowardly Lion. 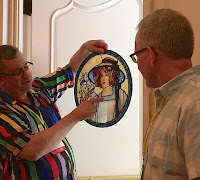 Bill designed this panel to show many different glass techniques in a piece we could carry on the plane to the convention. 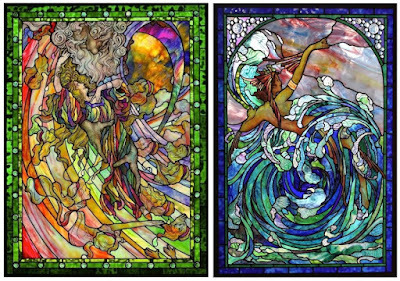 The piece included painting, detailed piecework, plating, sandblasting, and specialty glasses such as iridescent glass and drapery glass.